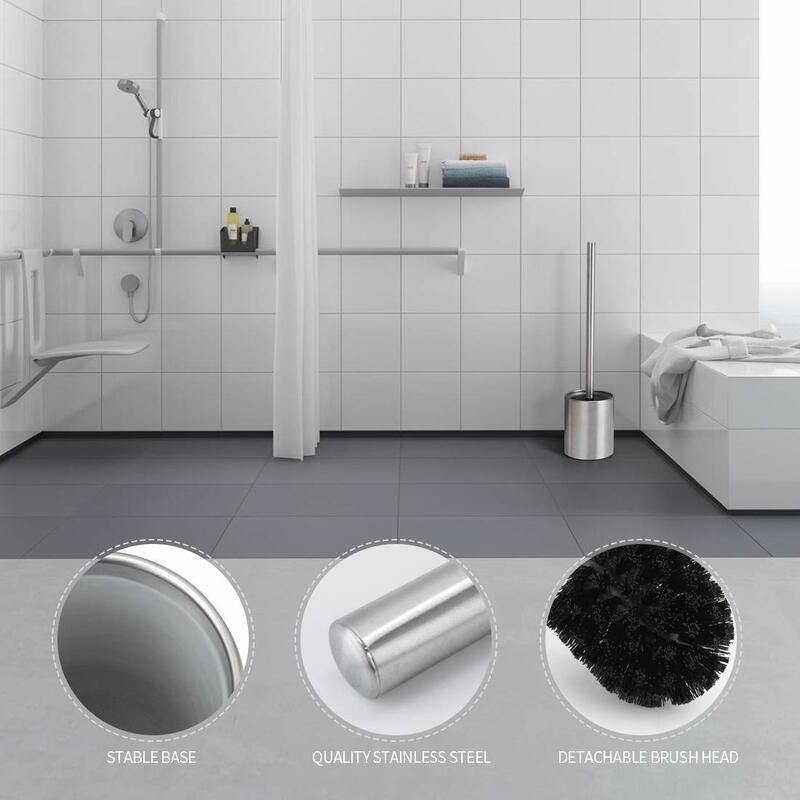 Made of durable 304 stainless steel, this toilet brush set can be protected against corrosion and rust. The appropriate size saves your space. Our products are welcomed by a lot of customers. 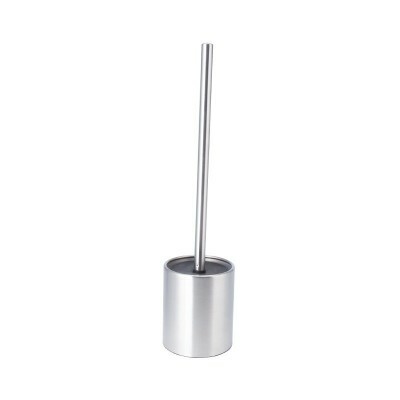 The toilet brush handle and outside base are made of excellent quality stainless steel. Also it is equipped with plastic inside base and the brush head. Different from other plastic holders, our products are more durable and more suitable for your choice. 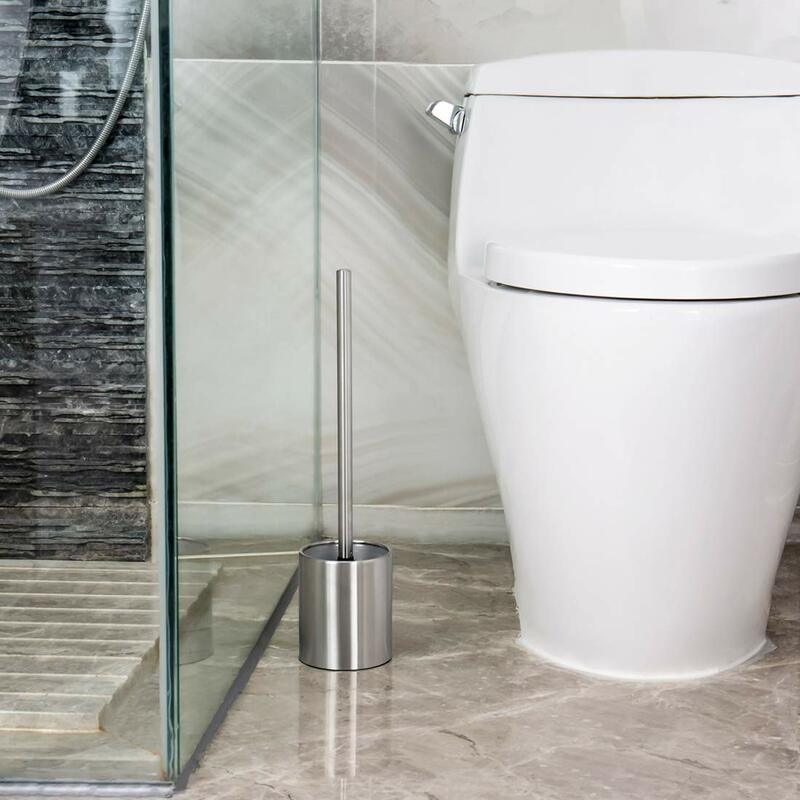 The toilet brush is designed with the brush film which is good for preventing the water from splashing out during cleaning. 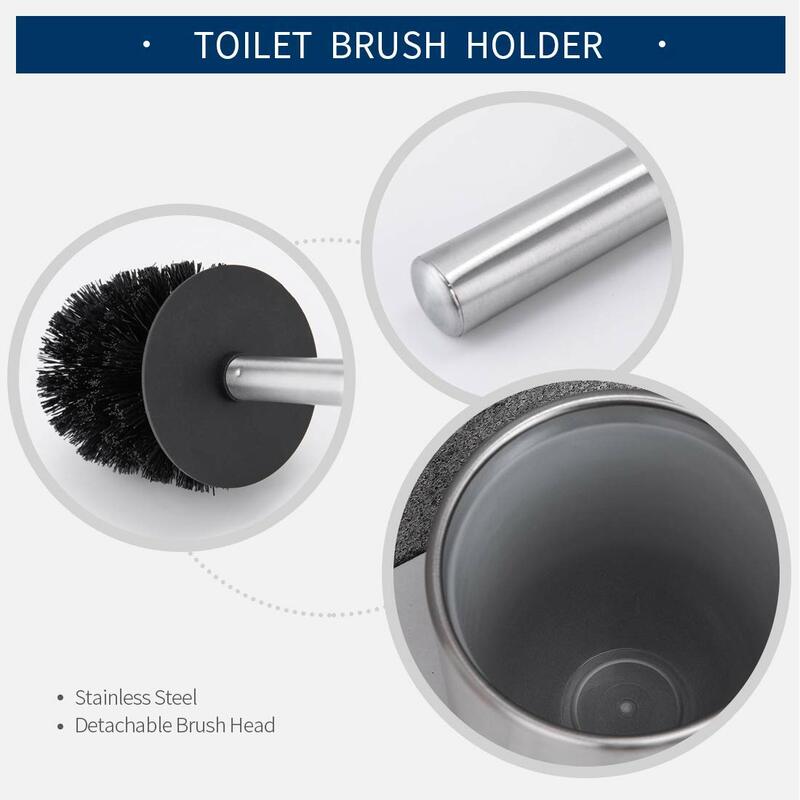 Appropriate size of the brush handle can help you cleaning toilet easily. 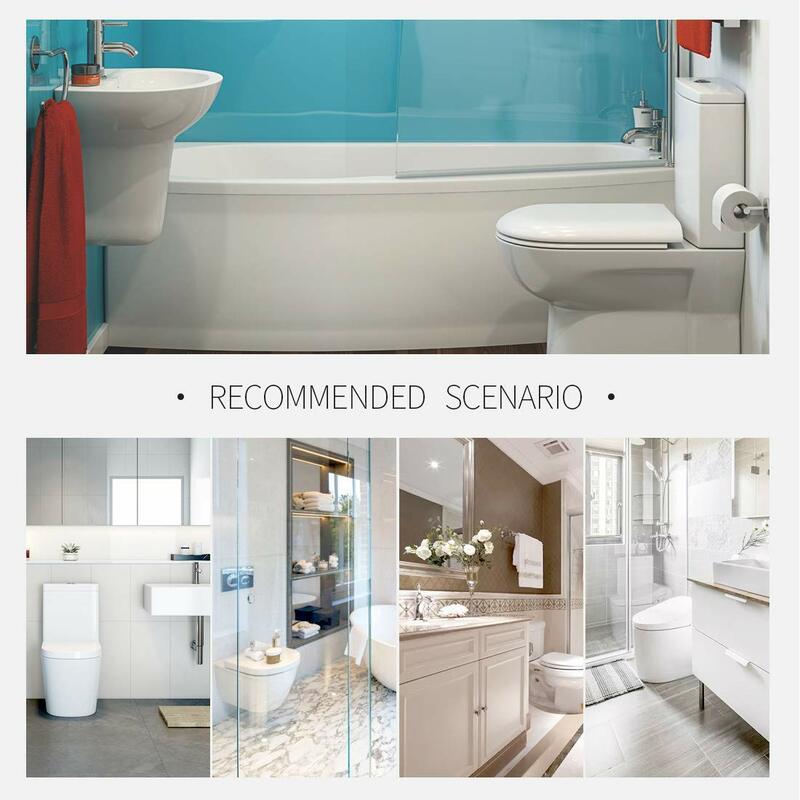 Elegant appearance will add your bathroom beauty. 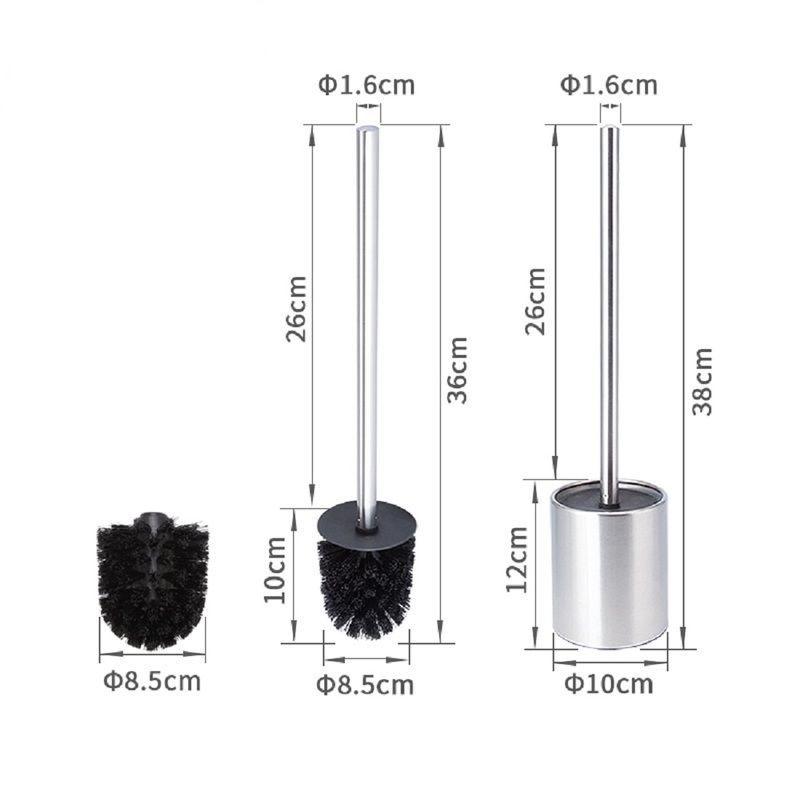 Toilet brush is equipped with a durable cylinder base, it can provide a strong support to the firm brush holding. To be removed or cleaned easier, it has a ABS plastic inside base to offer the store space for you. With the ABS plastic brush head and soft brush hair, this toilet brush is long lasting and harmless. Removable brush head is convenient for replacing the new brush when the old one can’t be used. 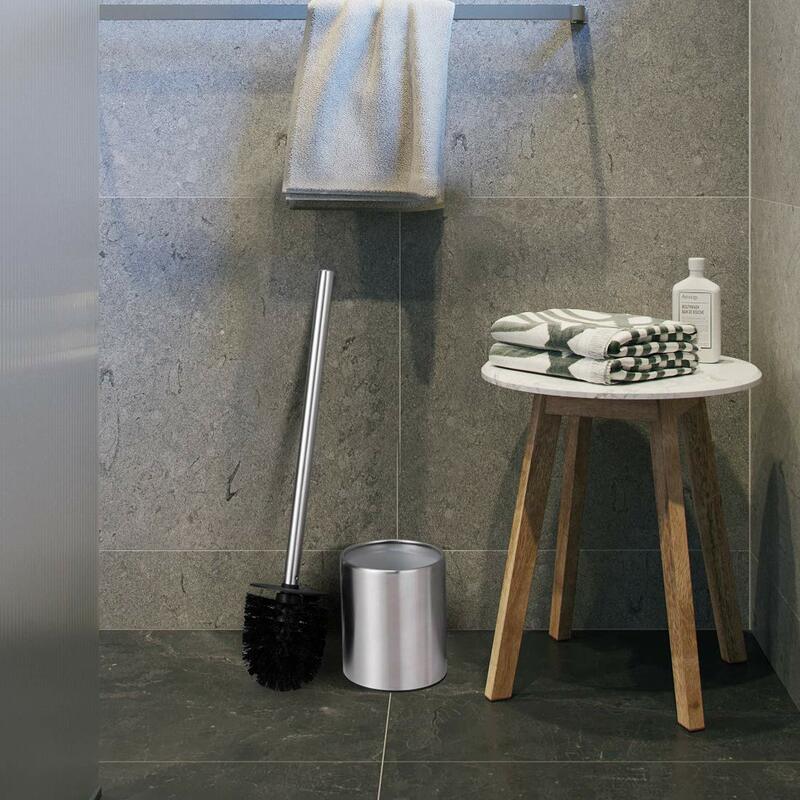 With a simple silver appearance, it emanates a noble style for your toilet or bathroom. Give you a nice mood when cleaning the toilet without trouble. 1.When you receive the package, please check whether the parts are complete. 2.Please put the brush holder on the base and place the whole set on the appropriate place. 3.When you do cleaning, you can take it from your convenience side. 4.After using, just rinse with water and drained it, then put in the right place.